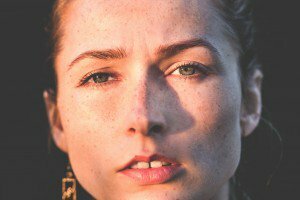 Home › Articles › Your Skin Type: How Much Do You Know? Your Skin Type: How Much Do You Know? Skin type: should be pretty simple, right? If you get a lot of acne, you must have oily skin, and if you have flakes visible on your face, it must be dry. Not necessarily. As with most things in life, skin type can be a little trickier than the neat little categories we put it into. If you’re like most people, then you’ve probably put at least some thought into how your skin behaves, and you may have even tried to understand what skin type you have. However, many of us still have trouble knowing how to tell what kind of skin you have, key information that could help you make decisions about your skin care routine. Curious to learn which skin type you have once and for all? Read on to learn how to determine your skin type, and how to take care of it based on this information. Why Does Skin Type Matter? Skin type matters because not all skin should be cared for in the same way. While we all need to practice the same basic skin care steps, like cleansing and moisturising, different skin types may need more pampering than others. Your skin type isn’t fixed; genetics are only one factor in your skin type. The type can change depending on your lifestyle, skin care routines, stress levels, and external factors, like pollution and weather. That’s why it’s so important to become educated on the different skin types, so you can care for your skin properly throughout your life. Take note: four out of the five types are prone to some kind of skin trouble, so if you’re feeling unhappy about the state of your skin, it’s important to realize that dry, oily, combination, and sensitive skin are more common than “normal” skin. Don’t worry—figuring out your skin type is the first step toward healthier skin and a beautiful, radiant glow. Once you’ve performed your assessment, take note of what you saw and felt. Your skin might share characteristics from more than one skin type, such as dry skin combined with sensitive skin or frequent breakouts. It’s important to be aware of all the challenges your skin faces, so you can address them in your skin care routine. Once you have an idea of what kind of skin you have, it’s time to reassess your skin care routine. You will need different products depending on your skin type and skin problems, so you should tailor your routine specifically based on your observations. Here are some products and techniques you can use, once you know if you have dry or oily skin, or somewhere in between. Basic techniques and products that people of all types should use are fairly simple: always be gentle with your skin. Never use hot water, only warm, when washing or exfoliating your face, and never scrub, always gently massage products into your skin, using circular motions. Use your products sparingly, as you can always add more if you need it. Never rub your skin with a washcloth or towel, always pat dry, as rubbing and scrubbing can damage the skin. All skin care routines should include the basic steps of cleansing, moisturising, and sun protection, but should be customized further to suit your skin type. Normal skin may seem like the easiest to care for, and in many ways, it is. However, it’s important not to tip the balance one way or another, by using products that will dry out or over-moisturise the skin. Start with a hydrating cleanser, then use a serum or light moisturiser to keep the skin soft and smooth. You’ll want to exfoliate once or twice a week to keep skin smooth and glowing. Dry skin is thirsty for hydration, so give it all the moisture it needs. Start with a hydrating cleanser, then use a powerful serum to help offset the effects of dryness on the skin. Following the serum, a thicker moisturiser should be used, which will provide a protective barrier for the skin against drying and damaging elements. Gentle exfoliation should be performed about once a week. Oily skin might seem like it doesn’t need any hydration, but you must be careful not to go too far in the opposite direction, drying out the skin. This will cause the skin to overreact and produce even more oil. If you have oily skin, use a hydrating cleanser first, followed by a serum for light moisturisation. It is not recommended to use another moisturiser after this, unless you have dry areas of the skin, which could benefit from extra moisture. Oily skin can also benefit from the use of toner following cleansing. Combination skin can be frustrating and tricky, but you just need to cater to it by using different products for different areas of the face. As with any skin care routine, start with a hydrating cleanser. Combination skin can benefit from toner in many cases, so try using this product after cleansing. Once you’ve toned, move on to a natural skin serum. Following this step, you may want to use an additional moisturiser on the dry areas of the skin, skipping the “T-zone”, the areas that are more often oily (forehead, nose, and chin). Sensitive skin often combines with problems of other skin types, and it’s important to focus on choosing the right products. Hypoallergenic natural oils are a good choice for moisturisation, and an all-natural cleanser is always the first step of any routine. Try naturally-scented or unscented products, as they are less likely to cause irritation. It’s not just sensitive skin that can benefit from gentle, all-natural products. Harsh detergents and chemicals take a toll on skin, and every skin type can have negative reactions to these products, especially over time. For this reason, it’s important to choose all natural, high-quality products for your skincare routine. Mother Nature has all the answers to your skincare woes, and we can trust natural oils and extracts to nourish and balance the skin for a healthy glow. Sweet almond oil is a gentle, hypoallergenic makeup remover, while virgin coconut oil is a natural anti-inflammatory and antibacterial product that can treat acne and soothe skin when applied to blemishes. The best cleansers and moisturisers come straight from nature, which is why our Biconi Glow Facial Serum is made from a potent blend of organic and cold-pressed oils, and our facial cleansers include these powerful ingredients as well. How to tell what kind of skin you have? Let your skin guide you! Pay attention to other factors that could be causing your troubled skin, such as habits like smoking, or not drinking enough water. It’s important to keep your stress levels down, eat a healthy diet, exercise, and get enough sleep. Your lifestyle has an enormous impact on your skin’s overall health and appearance, so pay attention and let your skin guide you. If you’re experiencing troubled skin, it could be a sign that your lifestyle is having an impact on your skin and overall health. Take some time to reassess your habits, and see if you can make any adjustments, in addition to your new skin care routine. With a little patience and tinkering you could be feeling great and looking fabulous, with clear, glowing skin! Pay attention to other factors that could be causing your troubled skin, such as habits like smoking, or not drinking enough water. It’s important to keep your stress levels down, eat a healthy diet, exercise, and get enough sleep. Your lifestyle has an enormous impact on your skin’s overall health and appearance, so pay attention and let your skin guide you. If you’re experiencing troubled skin, it could be a sign that your lifestyle is having an impact on your skin and overall health. Take some time to reassess your habits, and see if you can make any adjustments, in addition to your new skin care routine. With a little patience and tinkering you could be feeling great and looking fabulous, with clear, glowing skin!